A Thing (or Two) About Holly Jean: Dog Food, Treats and Pee Pad deals. 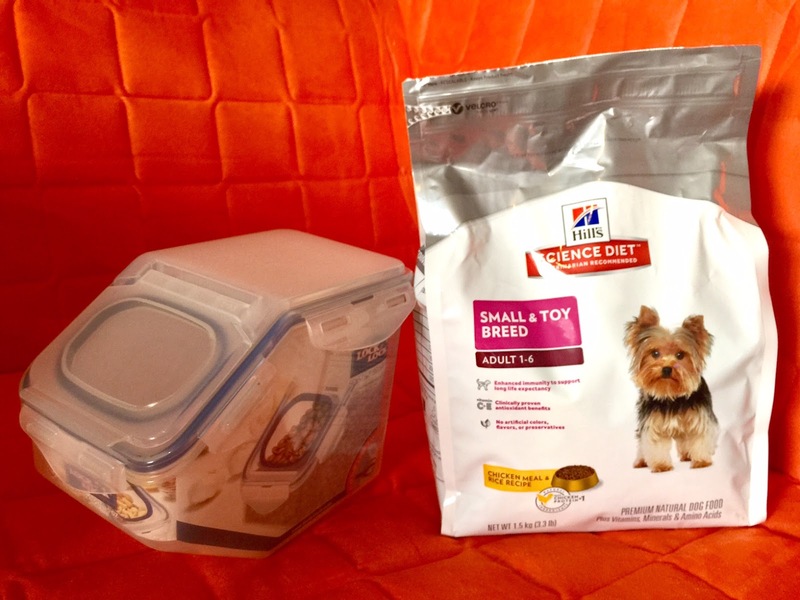 Dog Food, Treats and Pee Pad deals. Kohepets now stocks Lock & Lock airtight containers. I love these bran of containers for storing snacks and food stuff in my kitchen. Now I bought one for Lola's Kibbles too. This one has a convenient flip cover opening. 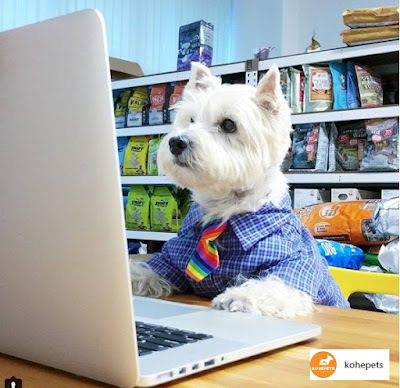 Simply flip open to scoop out kibble. These containers are BPA free, and freezer, microwave and dishwasher-safe. They stock a good range of sizes and styles for Lock & Lock, at good prices too. And snack treats too. But I try to make it not just tasty, but also very healthy snacks. Just Fish Cod Skin Dognip ($5.80 per pack only!) 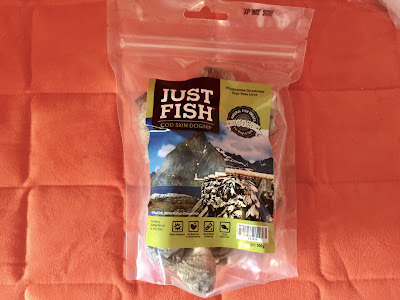 is made of cod fish skin, without any additives, colouring, preservatives, flavorings, wheat & gluten. 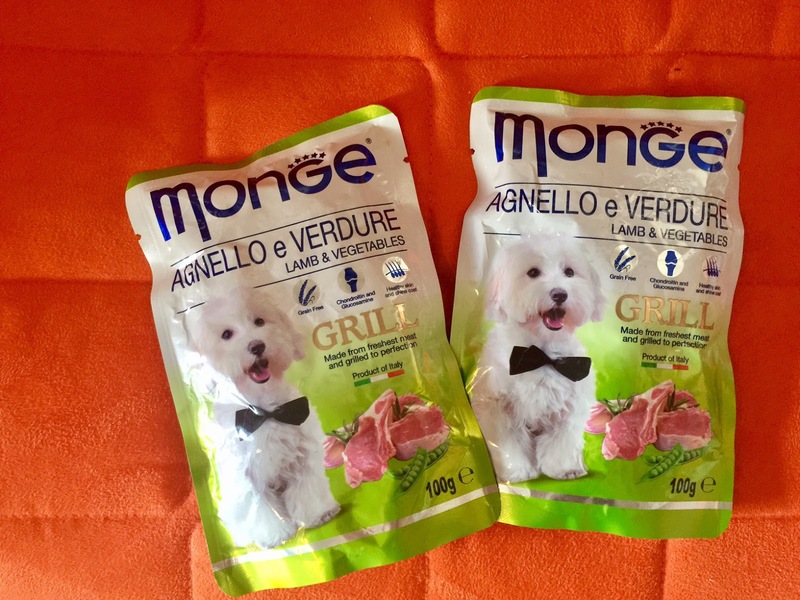 Monge Grill Lamb & Vegetables Dog Food Pouch is very handy, just rip open the foil pack and serve. 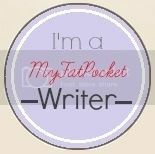 These packs are compact, easy to store. And just $1.10 per pack. There are 6 different flavours in this range. All grain free, made with fresh meat and there's added Glucosamine and Chondroitin to help functioning of the joints. 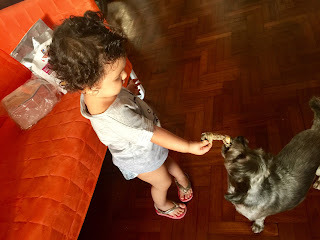 This Grill range must be really tasty because Lola loves it, licks her bowl clean within a minute. Another brand of foil pouch type moist dog food that Kohepet Stocks but I don't see on the shelves and most pet stores, is Almo Nature. It is fresh meat cooked in jelly, and if you have a picky eater or senior/ailing dog, you should try this range out. They are $1.90 each, and now on promo, buy 12 get 1 free. 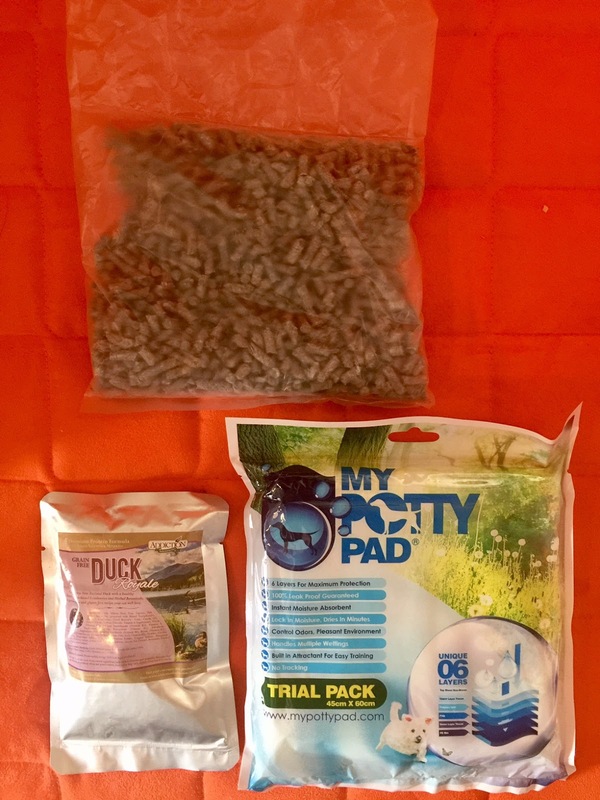 Super good deal on charcoal Pee Pads. 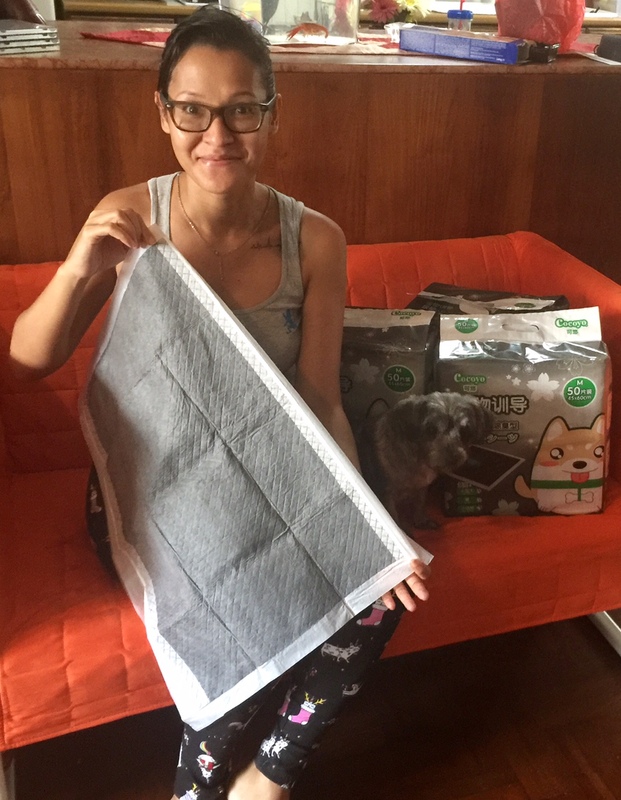 3 packs of Cocoyo Charcoal Pee Pads with 1 FREE Woosh Pet Wipes for $42. If you're using Small size, you get 300 sheets, M size 150 Sheets, and L size 75 sheets. I use Medium size for Lola's pee tray. The charcoal removes odors, the pee pad also has anti-bacterial properties and it is highly absorbent. This pee pad is tried and tested to be leak proof. (I've had other brands that feel damp on the bottom when I'm cleaning her pee tray. Yuck. Ooh and I also picked up a few samples from their Free Samples. There is some Green Kat Recycled Paper cat litter for my brother to try with his cats Sembene and Moyashi (they even have their own IG account lol). Some duck flavoured dog kibbles, and a My Potty Trial Pack for Lola. Something weird about the way you are holding the charcoal pee pad...hiding something?